For over a century, Los Angeles has been nurturing a culture of architectural experimentation inspired by its dramatic natural landscape and a near-ideal climate. 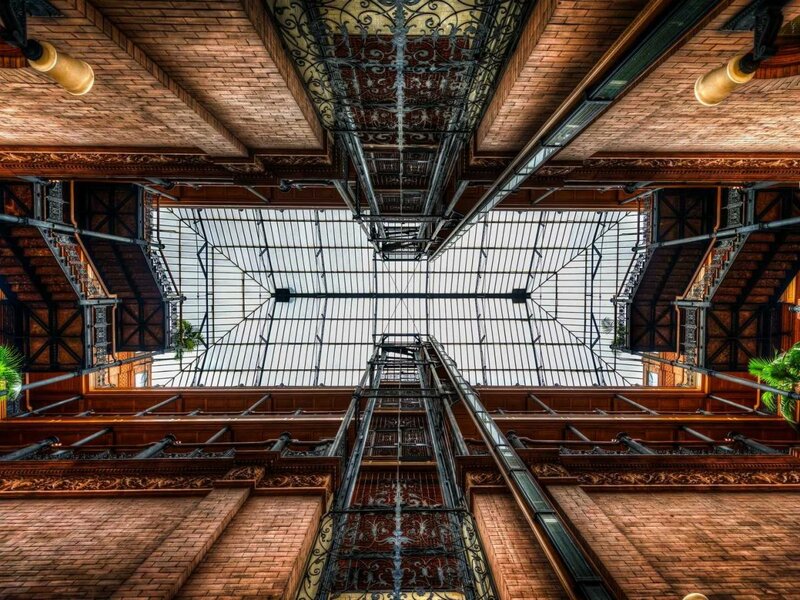 This week’s blog is giving center stage to one of the most exemplary buildings in our city: The Bradbury Building. 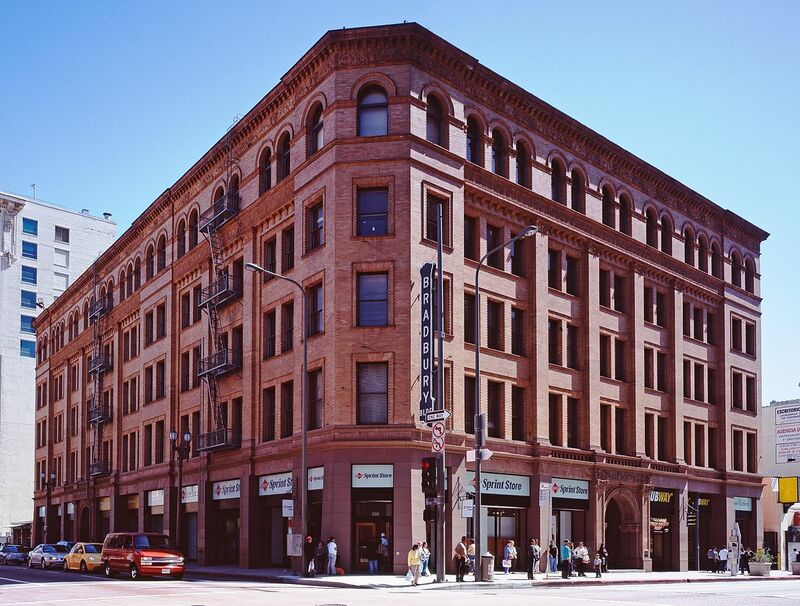 The iconic Bradbury Building is the oldest commercial building remaining in Los Angeles. Commissioned by gold-mining millionaire Lewis L. Bradbury, it was built in 1893. 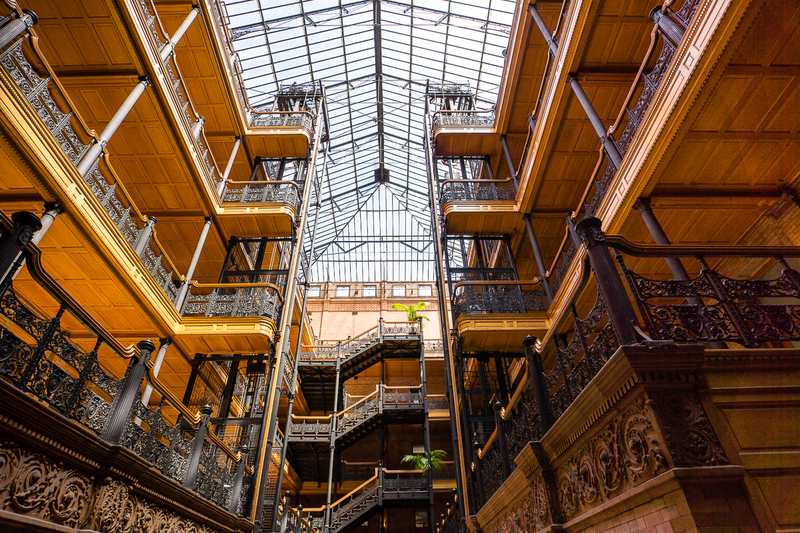 The Bradbury has its roots in the paranormal and science fiction. When Lewis L. Bradbury approached architect George Wyman about redesigning the plans, Wyman supposedly consulted with his deceased brother via a planchette board (like a Ouija Board) before accepting the job (his brother gave him the go ahead). The design was inspired by Edward Bellamy’s sci-fi novel “Looking Backward” —Specifically, Bellamy’s description of a utopian, futuristic style of urban planning. Unremarkable from the outside, the inside is considered one of the most thrilling spaces on the continent. The five-story office building is best known for its extraordinary and ornate sky-lit atrium of access walkways, stairs and caged elevators. It has been featured as the backdrop for countless television, music videos and films. 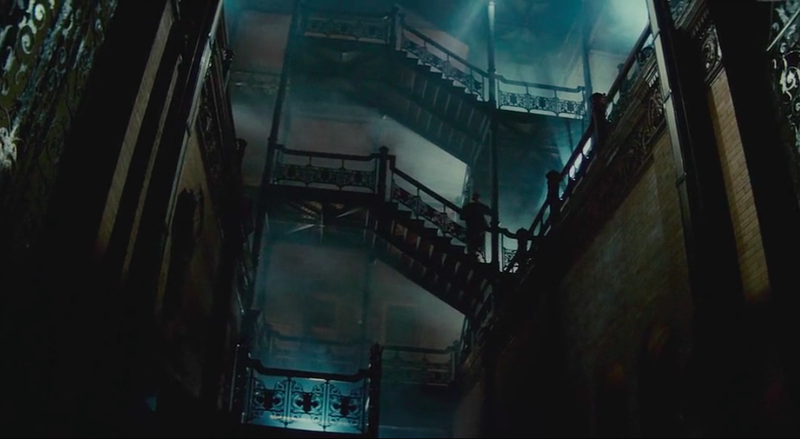 Most notably, the neo-noir science fiction film directed by Ridley Scott, Blade Runner. The Bradbury is still a working office building but tourists are welcome in the lobby and up the first landing of stairs!